the car hardly seen in that picture is a vw phaeton. it is standing at the "fürstenzug" in dresden, a large mural of a mounted procession of the princes of saxony. in the background you can see the frauenkirche. 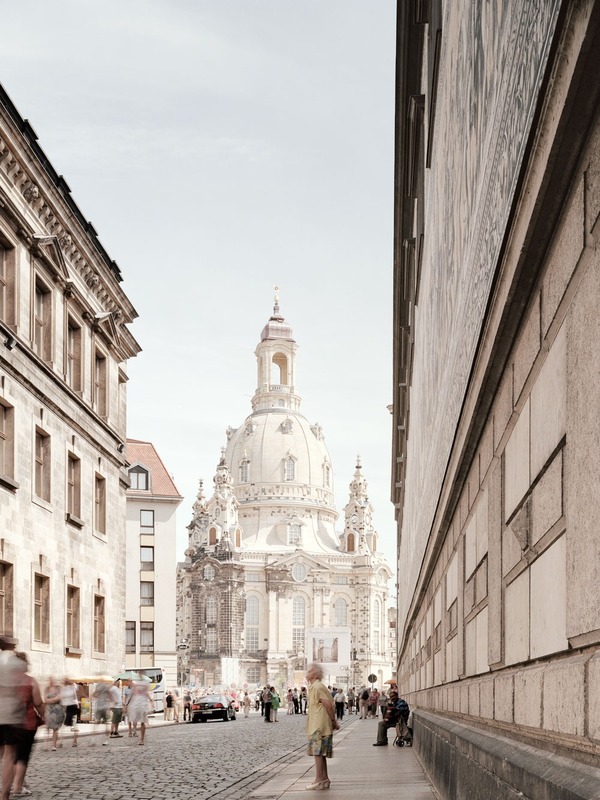 the dresden frauenkirche is a lutheran church. It is considered an outstanding example of protestant sacred architecture, featuring one of the largest domes in europe. we shot this image for vw-magazin.